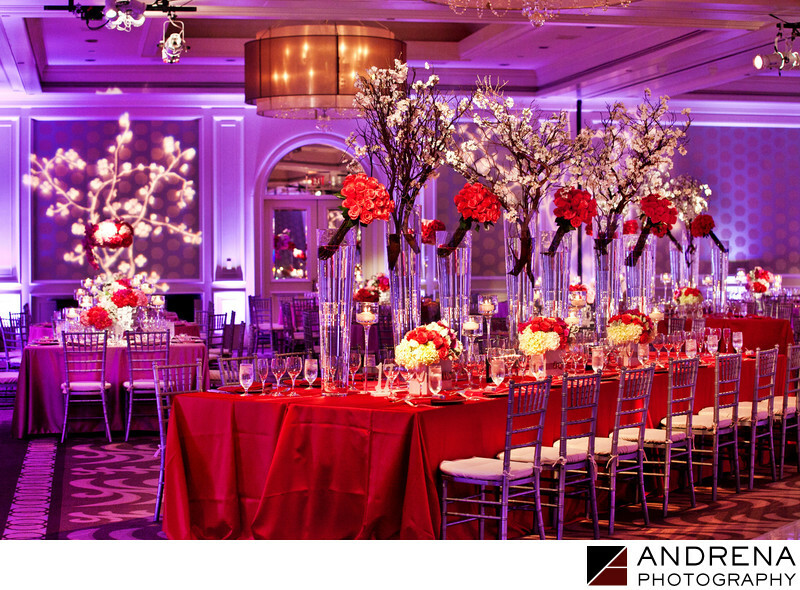 This reception utilized cherry blossoms in the floral design, in the gobos and also in the front of the room, where the bride and groom sat. The end result was pretty and delicate. This decor was created by Fayaz at Bloom Box Designs, and the ballroom is at the one and only Ritz Carlton Laguna Niguel.